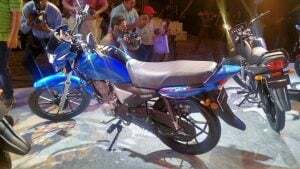 India Yamaha Motors Pvt Ltd. has just launched a new variant of the Saluto. 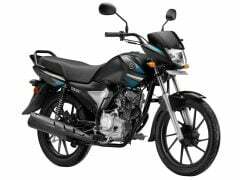 The Yamaha Saluto has been catering to the fast growing executive commuter segment since April this year and the new variant is aimed at the young and the stylish. 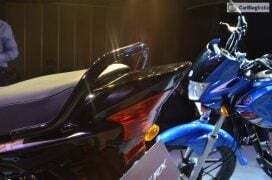 It should help Yamaha bring in more customers to the Saluto motorcycle brand. 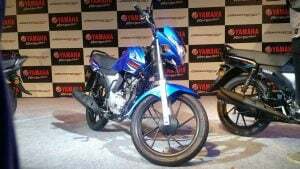 The Yamaha Saluto RX finds itself slotted kust below the SZ series in Yamaha India’s product portfolio and the latest commuter motorcycle from Yamaha rivals the 110cc executive commuters from Bajaj, Hero MotoCorp and Honda. Here, in this post, we have put together all the available information on the Yamaha Saluto RX price, specifications and mileage of new Yamaha 110cc bike in India. 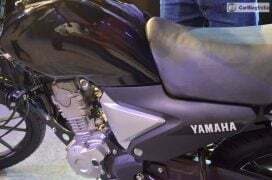 The new Yamaha Saluto RX price has been kept at INR 46400. At this price point, the new Yamaha model competes directly with the likes of Honda Dream Neo and even the costlier Hero Splendor iSmart 110. 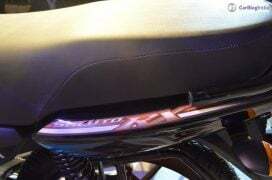 Apart from these, the Saluto RX will also lock horns with the likes of Honda Dream Yuga, TVS Star City Plus and Bajaj CT100. 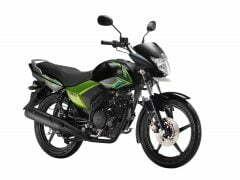 Basically, the new bike is a slightly toned down version of the regular Saluto 125cc executive commuter that was launched over a year ago. 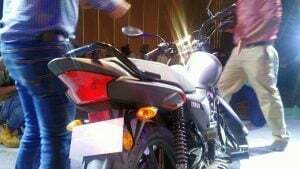 The newly launched Saluto RX is targeted at the young bike buying lot in tier III and tier IV cities. In essence, the new Saluto RX replaces the not-so-successful Yamaha Crux. 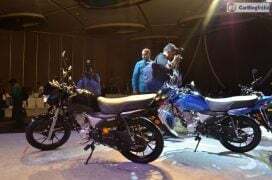 The new bike comes with Yamaha’s much publicized Blue Core FZ technology that optimizes power and fuel mileage. 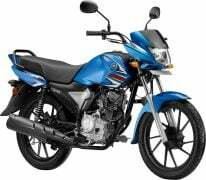 The Saluto is powered by an all-new 110cc, single-cylinder, air-cooled engine that boasts of Yamaha’s Blue Core technology. Weighing merely 98 kgs, the new bike enjoys a maximum power of 7.5 PS and a peak torque of 8.5 Nm. The motor comes mated to a 4-speed manual transmission. While the Saluto now comes with a disc-brake for the front wheel, the Ait gets a 130 mm drum at the rear. This commuter bike is built around a diamond frame. 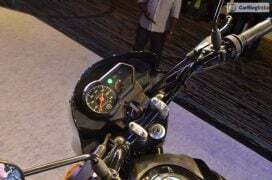 Features of the bike include an electric start, odometer, pilot lamps, clear lens headlamp and indicators and alloy wheels. Dimensions – The new Yamaha Saluto commuter motorcycle is 2,020 mm long, 740 mm wide, 1,045 mm high and has a wheelbase of 1,255 mm. It has a ground clearance of 180 mm and comes with a 7.6-litre fuel tank. The Yamaha Saluto RX weighs just 98 kgs. Mileage – Yamaha Saluto RX has a fuel mileage of 82 kpl. The new bike complies with BS-IV emissions norms. The new Yamaha Saluto RX is a stylish bike. It gets a bikini fairing, resin tank cover and stylish alloy wheels. The dual-tone paint scheme for side panel further enhances the visual appeal. There’s sharply-styled tail. It is worth a mention that Yamaha has almost failed to perform well in the entry-level segments. The Yamaha Cruz could never garner a huge fan following. Nor was the erstwhile Libero much success. With the new Saluto RX and Saluto 125cc models though, Yamaha could be looking to revive its fortunes in the entry-level market. Stay tuned to Car Blog India for more on the new Yamaha Saluto RX Price, Specifications, Mileage, etc. 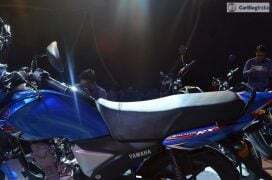 Stay tuned for Yamaha Saluto RX Test Drive Review.